These Temperature Controllers compare the actual temperature with the desired one and then give the output up to the controlled level. Temperature controllers manufactured by us are based on latest technology, which helps in providing optimum performance to the clients. We manufacture these controllers in accordance with the industry standards so that it meets the clients’ specifications. Metal Treating Annealing Hardening, Electroplating, Pharmaceutical, Food processing And Packaging, Cold Storage Refrigeration Ana air Conditioning. No. Of Digits / Alpha .. 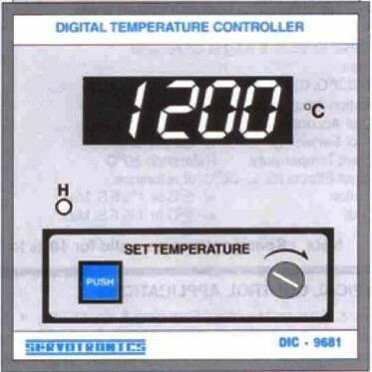 Features & Specification :Dual Display, 4+4 DigitThree Relay Or SSR output (Factory set)Size (Hx.. Features & Specification :INPUTInput Signal : 0-20mA / 4-20mA / 0-10V DC / -10 to 10V DC / 0 to ..